I have a long scale Series 1. It's hard to keep them from doing that. Besides, I saw a documentary once about the English longbow and its role in Empire expansion. The secret was laminated yew wood. Nobody else could figure it out and because English archers could fire from a lot farther away (and it took about five minutes to train them), they happily conquered everybody except those pesky Picts up North. Now, even I'm not dumb enough to put my faith in an endpin screw, but I'd venture that if I were to suddenly spazz out and do that and my baby went cartwheeling into the stage, I'll bet that sucker would bounce about six feet straight up. I could do my best Marty McFly "Johnny B. Good" knee-slide under it and catch it on the "one," like I meant to do it. I'll show you empire expansion, baby. 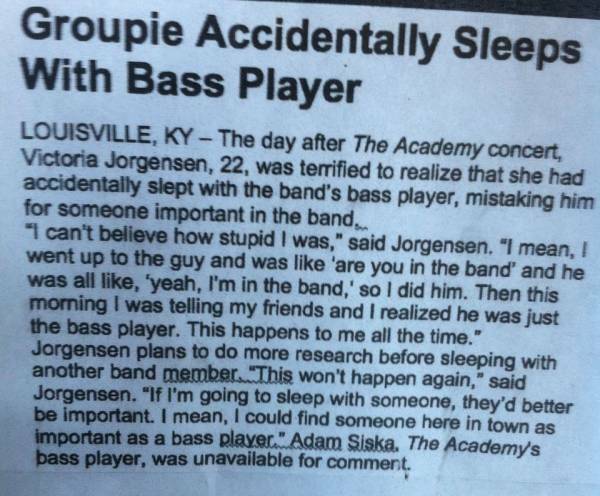 I think a spontaneous bass humor thread is an excellent idea, by the way.